About eight years ago I went from striving to finish a 32-ounce tub of yogurt before it went bad (usually over three or four weeks) to consuming a tub a week. Two events led to this change. First, my husband Dan and I began taking annual summer trips to The Berkshires. On our first trip we discovered The Haven Bakery & Café and their fabulous granola. I had it with yogurt for breakfast there. I had that breakfast twice during the trip and bought a few bags of the granola to bring home. Since then my affinity for the granola has bordered on addiction and I’ve managed to keep it in stock at home. When we travel to New York State we’ve changed our route to go through The Berkshires. Occasionally I will retreat there off season and pick up a few bags. My sister and Dan have generously restocked my supply when they have gone there without me. Around the same time as my granola obsession – I mean affinity – ignited, I tried Chobani yogurt. Chobani is Greek yogurt, which is thicker and creamier than regular yogurt. I love thick, creamy dairy products. Pair Chobani non-fat plain yogurt with The Haven granola and you have heaven in a bowl. Hamdi Ulukaya started Chobani in 2005 just 150 miles from The Haven. He launched the company because he heard that Kraft Foods had just closed its yogurt factory in South Edmeston, New York and he could not find the type of yogurt he enjoyed as a child in Turkey. Chobani is a variation on the Turkish word for shepherd. After two years of product development and factory adaptation, Chobani’s Greek yogurt went on the market in 2007, when Greek yogurt comprised just 0.2 percent of the yogurt market. Today it is 46 percent. Chobani is the major reason why. You may think starting a business aiming at a sector that has only 0.2 percent market share is crazy. But Ulukaya believed he was bringing a better product. “I knew that something could be done with yogurt because growing up in Turkey, we knew what to expect from yogurt,” he told an audience at New York University’s Stern School of Business in 2013. By focusing on a different type of yogurt he developed an untapped subcategory of the market. As Chobani took off and expanded distribution, big yogurt companies like Dannon knocked on Ulukaya’s door and offered to buy the company. 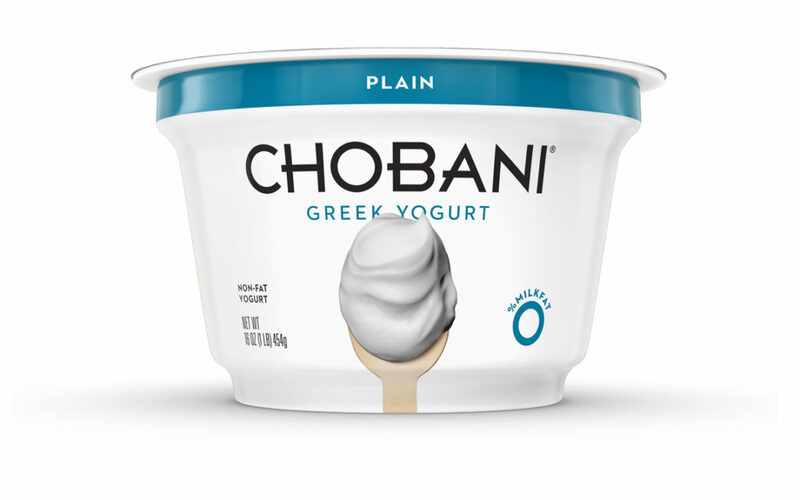 Instead, with unusual speed to market, Chobani claimed ownership of the Greek yogurt subcategory. In the process Chobani grew the overall yogurt market and grabbed significant share. In 2016 Chobani accounted for more than 19 percent of the overall yogurt market and 36 percent of Greek yogurt purchases, racking up $1.5 billion in sales. Long-time brand guru David Aaker labeled the term subcategory for the space that a brand comes to own within an existing category that distinguishes it from the competition. Subcategories emerge when your brand bucks convention and focuses on different elements than the rest of the competition. Subcategories arise out of true innovation, often requiring a fundamental change in operations, in communications or both. Underserved markets, alternative offerings and unmet consumer needs provide fertile ground for your brand to build a subcategory in your industry. By targeting people whose cars were being repaired instead of the vacation rental market, Enterprise Rent-A-Car built a national business and owned that subcategory for more than two decades. Watch maker Swatch forged new territory when it focused on self-expression as a key benefit instead of the category standard at the time, precision. No other watch brand tapped this angle in this price range and Swatch came to own the affordable self-expressive time piece space. And who could forget that in the explosion of assembly-line fast-food operations in the 1970s, Burger King offered to let us have it our way? Rather than going head-to-head with competitors to prove your brand is better, why not explore territory where there is little or no competition? Mining consumer insights for unmet needs. Keurig seized on consumers’ growing desire for flavorful, fresh, convenient coffee without the coffee shop expense and the full-pot clean up to create their cup-at-a-time coffee maker and k-pods. Tapping practices and ideas from other industries. Uber employed fleet management from logistics management companies like FedEx and modeled its “surge pricing” after dynamic pricing in the hotel and airline industries. Using new technologies. Xbox gambled on broadband-only gaming, which in 2001 was a true gamble, and has continued innovating by adding like the Friends List and in-game voice chatting. Opportunity lurks where your competitors aren’t looking or where they are unwilling to go. Developing a subcategory is a potent growth strategy and brand differentiator. Subcategories require conviction on your part though. Subcategories zig when the rest of the category zags. You need to be able to withstand questioning looks and naysayers. Those that correctly identify and pursue a subcategory experience substantial brand growth. Go forth and discover! I’m off to have a snack now, and I think we both know what that will be.